So, I've tried to sum up the music year of 2009 in 15 tracks, and man oh man was that hard. Women giving birth often think that is hard. Luke Skywalker probably thought hitting that shaft on the Death Star with those torpedoes was hard. But none of that compares to having to weed down a 50 or 60 tracks long shortlist to just 15. In the end people like Baxter, Chromeo, Neon Workout, Cassian, Lebatman, Beaumont, PH Groove, FM Attack, and Pelifics along with bigshots like Bag Raiders, Midnight Juggernauts, Lifelike and Fred Falke (and all the others I've forgot to mention) were axed. But I'll stop bitching and get right to it. 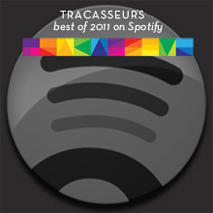 Breakbot had a huge year in 2008, but there came a couple of gems this year too. I chose the Severin remix, even if the Yuksek one also was a favourite and also could have made the list. With an album coming out in 2010, expect to hear more from France's funkiest. #14. Edwin Van Cleef - Overtaken Edwin van Cleef was another one who spit out excellent tracks on almost a weekly basis in late 2008 and early 2009. After some label troubles he finally released "Overtaken" on his own label this fall. Despite releasing a bunch of great remixes this was my favourite Cleef track of the year. It's just filled with such energy! From Leeds to Leeds and to Van Cleef's roommate GRUM. There's a place that should have some decent music at the afterparties... Both of them manage to transform their sound beyond the trash electro à la Justice they both had come to master into something new, while not losing a bit of their star quality. GRUM made so many great remixes this year, with Friendly Fire's "Skeleton Boy" narrowly missing my chart. His own "Runaway" release was epic as well with the great original accompanied with just as great remixes. Calling in Sick's was my favourite though. #12. Elke - Blue Dream Lover (Youth Remix) Elke is one of those Australian bands that really makes you realize that the success of other Australian bands like Cut Copy, Midnight Juggernauts, Empire of the Sun and The Presets isn't just a fluke or an undeserved hype. The music scene down under really seems to be next to infinite with great bands a dime a dozen. The incredible thing is that the electro scene seems equally big with electro DJs and producers also a dime a dozen. That's two dimes a dozen! Brisbane-based Youth's nu disco odyssey is both beautiful and danceable. The Brazilian maximalism from São Paulo's Database made up a big part of the soundtrack to the spring. Their energetic disco edits were on high rotation and the Phyllis Hyman edit could have made the list. One track that did is Hey Champ's remix of their collaboration with French Horn Rebellion. Rockford's Cut Copy, who combines making great pop tunes with their band while making awesomely funky house remixes, continues to be one of the most underrated acts in the music world. Such a great bassline on this one. #10. Friendly Fires - Jump In The Pool (Thin White Duke Remix) I haven't listened to that much indie rock the last couple of years, but when I rarely do one of my favourite bands are indie dancers Friendly Fires. Their self-titled debut from 2008 included so many great singles which in turn resulted in even more great remixes (I've already mentioned GRUM's "Skeleton Boy"). Stuart Price aka Les Rythmes Digitales made a string of great remixes under his Thin White Duke guise. The "Jump in the Pool" remix was a match made in heaven. 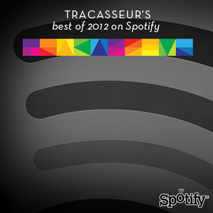 Classixx had a great year with their hit "I'll Get You" and countless terrific remixes. Their blend of ultra-cool nu disco and lo-fi house was a big influence on the sound of 2009. Their remix of Brooklyn funksters Holy Ghost! took the cake though. Visitor's "Los Feeling" was one of the most blogged and most remixed tracks. Fear of Tigers, Flashmen, Gentlemen Thieves, Digitalfoxglove and Wonder, Flashworx and Freak You were among those who gave it a shot and did it well. Monsieur Adi came out on top though. Paul haven't got the attention he deserves yet, despite being posted on Valérie. He stood out as one of the major renewers of the French touch scene, combining the house sound of Lifelike with more of pop music. He released a string of great tracks so picking out a favourite was hard, but given that we hadn't posted it for some reason, I chose "I Feel Change". Miami Horror reinforced his standing as one of the greatest stars of Aussie electro. 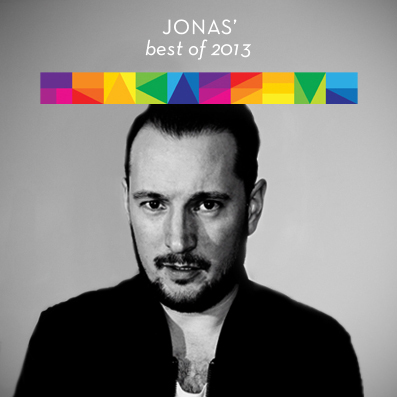 Fewer remixes this year than in previous years but some great releases on his own. Like the "Bravado" EP and of course one of the most epic singles of the year, "Sometimes". ODahl was one of our finds of the year, even if I was tipped off by a friend in Poland. His remix of Empire of the Sun's "Walking on a Dream" was a big favourite, and was close to making the list. In the end the remix of Polish band kamp! was marginally better. Something I know Olle agrees with since he's told me he thinks this is the best track he's ever done. The collaboration between On The Fruit's Digitalfoxglove and Freak You resulted in one of the best intros of all time. Digitalfoxglove was one of all producers who moved away from the trashy electro sound to something else. In his case that gave him more room for his great sense for melodies and harmonies. Add Freak You's funky bass and you end up with this dancefloor stormer. Le Matos was really one of the biggest favourites for all of us in the spring. They just had (and still have) such a unique fuse of beautiful pop melodies and pumping techno. They made a bunch of awesome remixes and tracks of their own (especially in the first part of the year), but when adding the delicate voice of Coeur de Pirate we got a track that was loved by everyone, no matter if you liked club music or not. Tesla Boy must have made one of the more meteoric rises to stardom in 2009. I was on to them by word of mouth from our eastern European connection and was immediately hooked on their blend of 80s sounding electro pop and new wave. Then they were posted by Valérie and the rest is history. The promo EP (that we daringly posted) contained five tracks that were such great pop tunes all of them, so the favourite was a close call. But in the end "Spirit of the Night" narrowly edged out "Runaway Man". Now we're all looking forward to the album which will be out early 2010. Fear of Tigers really affirmed himself as one of the greatest and most innovative producers in electronic music right now. He made a couple of my all time favourite tracks in 2008 (the remix of Pnau's "With You forever" is still my top track on Last.fm), and yet the release of his debut album this fall blew my mind. He combines music from all over the place into such a unique sound. From the eighties and nineties to the naughties, from electro and house to indie, his music transcends all genres. From a whole album full of perfect tens the opening track was the eleven. 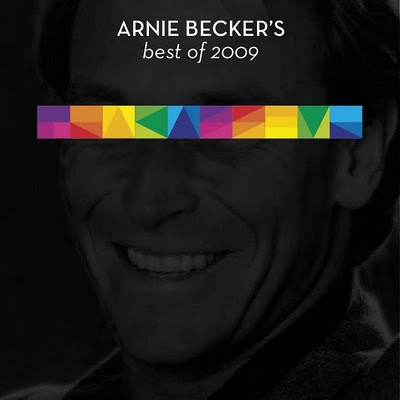 I think this is one of the best "best of 2009" that I've seen. Great work! What a FANTASTIC ¨best of¨ list. Wow. Thank you so much for posting this. update the download link please! The video for Emmon's "Night Bells Calling"
O Children, a new Golden Filter remix! Fear of Tigers album out!